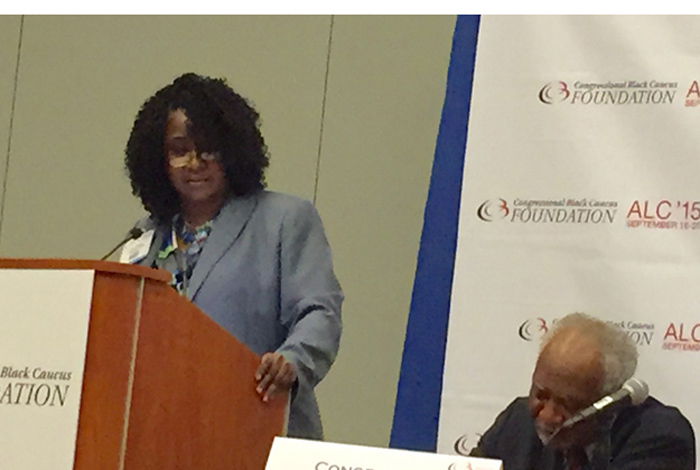 FAMILY FIRST Avon Hart-Johnson says family is the "front line intervention" for successful reentry. For Avon Hart-Johnson, the issue of mass incarceration for black men hits close to the heart. She remembers her son being taken away when he was 15 years old and returning at the age of 27. He spent 12 years of his life incarcerated, and during that time, Hart-Johnson did what she had to do: mother him through prison. By the time he came home, Hart-Johnson said her son had earned a degree in information technology and moved on to work as a federal contractor. This mother is not alone in her experience. Federal and local agencies estimate that more than 600,000 ex-offenders are released back into their communities each year. And for those returning home, steadfast family support and access to wraparound services that include counseling, training and transitional programs are keys to staying out of prison. 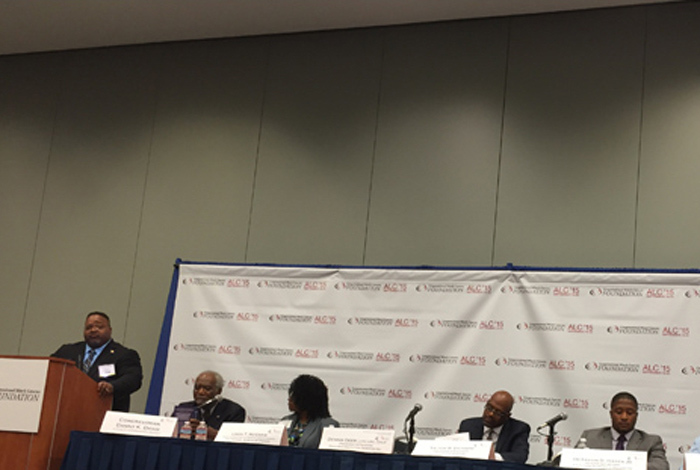 Understanding the need to examine reentry strategies that work for returning citizens, Rep. Danny Davis (D-Ill.) hosted a reentry forum, “What’s Really Working for Returning Citizens?” as part of the of the Congressional Black Caucus Foundation’s 45th Annual Legislative Conference. For the Sept. 19 panel, Davis brought together representatives of the government and private sectors to discuss programs that are helping returning citizens transition back to their communities and families. Besides family, panelists agreed that providing ex-offenders with much-needed substance abuse treatment programs and employment training services are important to successful reentry. But there is one element that is often overlooked – mental health services. “Individuals who are coming home from incarceration need to change their mindset,” said Dennis Deer, a forensic psychologist who is the president and founder of Deer Rehabilitation Services in Chicago, which provides mental health evaluations, individual counseling, couples counseling and other treatment services for underserved and disadvantaged communities. Many of the services offered are also Medicaid-certified, reflecting the financial situation of most individuals after incarceration: little to no money. “For many years, we did services on a sliding fee scale, and many of them [services] had to be pro bono,” Deer explained. Acknowledging that it’s never too early to start intervention, the Deer staff connects with incarcerated individuals to provide behavioral health, domestic violence and reentry services before release. After release, ex-offenders have continued access through service sites. Training also extends to law enforcement officers to help them address reentry and behavioral health. “They have to know how to interact with individuals who have mental illnesses as well as individuals who are out there on the streets,” Deer said. 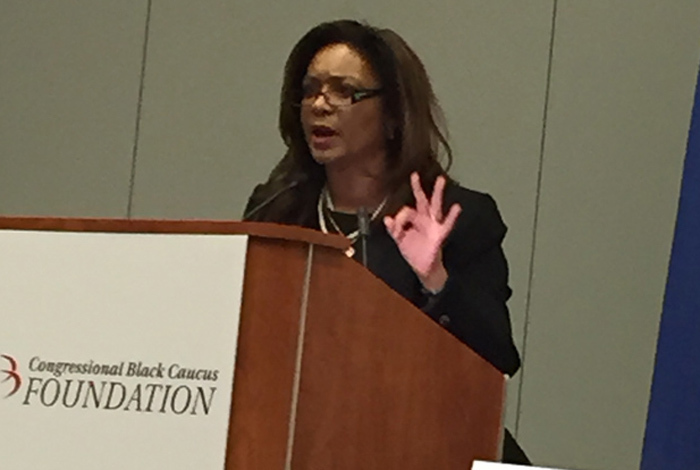 Meanwhile, Linda T. McGrew, assistant director for the Reentry Services Division of the Federal Bureau of Prisons (BOP), stressed that the bureau can’t control who is arrested or convicted, but can control the programs provided to offenders while in custody and the collaborations/partnerships developed to assist them from incarceration to release. “Reentry begins on the first day of incarceration,” said McGrew, adding that inmates have access to literacy, vocational training and other programs to assist throughout their transition. She noted that the bureau is currently working with the Attorney General’s Reentry Council to talk about “banning the box,” the movement to remove the box on job applications where employers ask about an applicant’s criminal history. Other issues on the discussion table include federal Pell grants and what can be done in education for returning citizens. The Department of Education in July unveiled a “second chance” pilot program that would allow incarcerated individuals greater educational opportunities, a move proponents say could reduce recidivism rates. Currently, the grants are unavailable to this population. IN THE NUMBERS The Bureau of Prisons’ Linda T. McGrew (beside Congressman Danny K. Davis, seated) says BOP houses over 208,000 federal offenders nationally. According to McGrew, the bureau houses over 208,000 federal offenders. And BOP offers a variety of evidence-based programs aimed at help- ing inmates. She said those participating in the Federal Prison Industries Program are 24 percent less likely to relapse into crime than similar non- participating inmates. Meanwhile, offenders par- ticipating in vocational and occupational training programs are 33 percent less likely to recidivate, while 16 percent of offenders participating in the residential drug abuse treatment programs are less likely to recidivate.